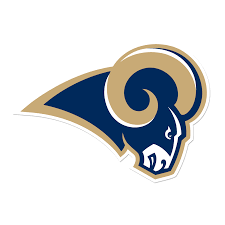 The St. Louis Rams, previously the LA Rams, will once again become the LA Rams. On the same day, GE decided to relocate out of its antiquated headquarters in Fairfield, CT and head north to Boston, MA. One is a struggling franchise, while the other is a global giant, struggling in other ways. Each community will be impacted by each respective move, the loss of the Rams will be hard to get over. There is a lot of anger following the NFL’s decision to approve the Rams plan to relocate back into the nation’s second largest media market. The economics of the move is hard to argue with. In comparison, St. Louis is a much smaller city than Los Angeles, which is an important factor for a live entertainment product. Moreover, the “build it and we will come” argument made does not hold true, as successful teams, Tampa Bay Rays for example, struggle to fill seats, despite sustained success. St Louis is definitely a great sports city, but it’s marquee team is the Cardinals not the Rams. There might be more brand loyalty die hard Rams fans brewing in LA than could be ever be in St. Louis. The economic part takes a back seat to the personal aspect. The personal investment, including the passion, loyalty, and hope,is something fans of sports do not take lightly. Our favorite sport teams become part of us. We live and breathe, for the most part, by each win, loss, transaction, and statement. Maybe we shouldn’t, but many fans do. But if there are not enough fans willing to do that win, lose, or draw, owners will look elsewhere. Unfortunately, it is a business, a phrase we accept with trade, release, or signing. It stings more when that reality directly impacts us the fans. While the Rams relocation will gains more attention, the relocation of GE will probably impact its local community more so. 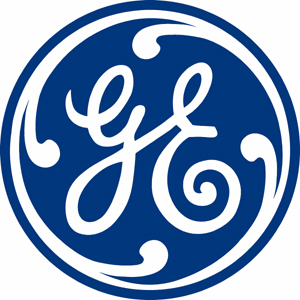 In Connecticut, GE is the largest employer. After relocation, the employees that do not make the move will deal with an underproductive labor market and state and local governments will need to adjust to a significant drop in tax revenue. As a result, there will be a slight drop in economic activity, which could be made worse with the increased tax levels. St. Louis will experience a slight drop off, but it’s sport sector is still headed by the Cardinals, so the drop can be mitigated. The $400 million allocated for stadium development can be invested in improving the local economy, making St. Louis a more attractive place for investment and business’s reallocation. St. Louis will be fine if leaders make the right choices. The loss of business is impactful, but more so when you consider the personal investment.